Make yourself at home at this charming 3 bedroom 1 bathroom home! This spacious home features a welcoming kitchen that opens to the bright and spacious living room. Spend those warm summer nights outside in your own spacious backyard. Don’t miss this opportunity to make this home yours. Contact our leasing agent for more information! This home is professionally managed by Pathlight Property Management, the exclusive property manager for Home Partners of America, offering excellent customer service, 24/7 emergency maintenance service, online application and payments, and pet-friendly options. ALERT: If you see an ad for this home on Craigslist, please notify our office. We do not advertise any of our homes on Craigslist and it is likely fraud. Make yourself at home at this charming 4 bedroom 4 bathroom home located in Peyton! This spacious home features a welcoming kitchen that opens to the bright and spacious living room. Spend those cool winter nights inside by the cozy fireplace or enjoy those warm summer nights outside in your own large, private backyard! Don't miss this opportunity to make this home yours. Contact our leasing agent for more information! 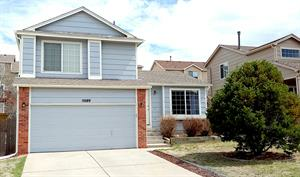 See yourself coming home to this gorgeous 3 bedroom 1 bathroom home located in Colorado Springs! This bright and spacious home features a luxury kitchen fit for entertaining or relaxing in the bright, spacious living room. Make this home yours today. Contact our leasing agent for more information! This home is professionally managed by Pathlight Property Management, the exclusive property manager for Home Partners of America, offering excellent customer service, 24/7 emergency maintenance service, online application and payments, and pet-friendly options. HOA occupancy restrictions may apply. Make this adorable 5 bedroom 2 bathroom house your new home! This home features tons of natural light and spacious layout. With the dining room open to the kitchen, it is perfect for entertaining guests. This home sits on a large lot with mature trees. Don’t miss this opportunity to make this home yours. Contact our leasing agent for more information! Great 3 bedroom 2.5 bath in a cul-de-sac. This home features a spacious floor plan with the kitchen open to the living and dining area. Hardwood floors on both main and upper floors. Large master bedroom with attached bath. Spend those cool winter nights inside by the cozy fireplace or enjoy those warm summer nights outside in your own large backyard! Beautiful mountain views from the main floor and backyard. Wonderful neighborhood. Four bedroom and four bathroom house. Open kitchen is perfect for entertaining. Central location to downtown, Peterson AFB, and the Air Force Academy. Walking distance to schools. Schedule your tour today! This home is professionally managed by Pathlight Property Management, the exclusive property manager for Home Partners of America, offering excellent customer service, 24/7 emergency maintenance service, online application and payments, and pet-friendly options. HOA occupancy restrictions may apply. ALERT: If you see an ad for this home on Craigslist, please notify our office. We do not advertise any of our homes on Craigslist and it is likely fraud. Gorgeous four level home in the Desirable Wagon Trails. Light, bright, and spacious open main level floor plan is warm and inviting, perfect for guests or family time. The kitchen is open to the living room and features stainless steel appliances. Tons of natural light throughout this entire spacious home! Close proximity to powers and academy for quick access if commuting for work, or travel. Make an appointment and come check out your new home! Make this charming 4 bedroom 1.75 bathroom house your new home! This home features a bright and spacious kitchen and dining room perfect for entertaining! The inviting living room offers ample room to enjoy an evening in! Don’t miss this opportunity to make this home yours. Contact our leasing agent for more information! Custom quality-built home on 2.5 acres with Pikes Peak views! Open floor plan and gorgeous amenities. Stone fireplace and built-ins are accented by natural light flooding in the great room. Gourmet kitchen has granite, SS appliances, pantry, breakfast bar and dining area. Upstairs is a spacious master suite with 5-piece bath, a Juliet balcony and two additional bedrooms. This home and expansive property with 360 views will give you that tranquil bliss you've been looking for. Make this home yours today. Contact our leasing agent for more information! Make this charming 4 bedroom 3.25 bathroom house your new home! This home features a bright and spacious kitchen and dining room perfect for entertaining! The inviting living room offers ample room to enjoy an evening in! Don’t miss this opportunity to make this home yours. Contact our leasing agent for more information!